Word processing, spreadsheets and presentation users have longed for a good Office suite for Apple mobile devices (iPhone and iPad). While Apple and Google have come up with their versions of mobile Office packages, the biggest drawback this gave rise to was the lack of compatibility with Microsoft Office – the big brother of all Office suites in the PC segment. That left Microsoft to enter the arena to present their offerings for iPhone in 2012. 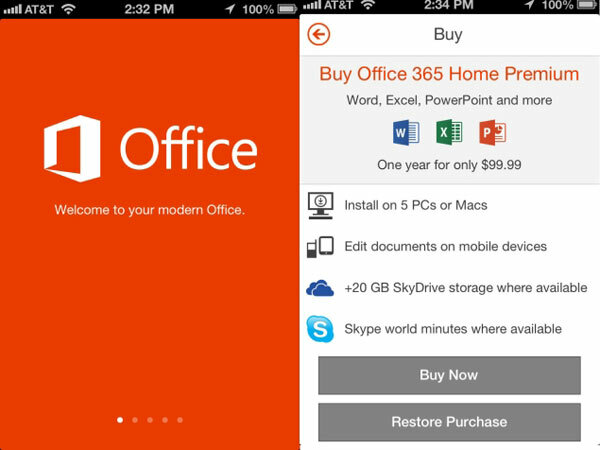 A new app from Microsoft provides Office suite on the iTunes Store. Available currently in the United States, the iPhone app will soon be expanding market coverage to include other countries as well. Distributed on iTunes as Microsoft Office Mobile for Office 365 subscribers, this development has certainly elicited an engaged interest amongst users and non-users alike. Some of the Office for iPhone app features do work very well for users and make complete sense accessing it over a mobile platform, but there’s also another aspect to this, about how well the iPhone app features actually help us add value to the work we do. 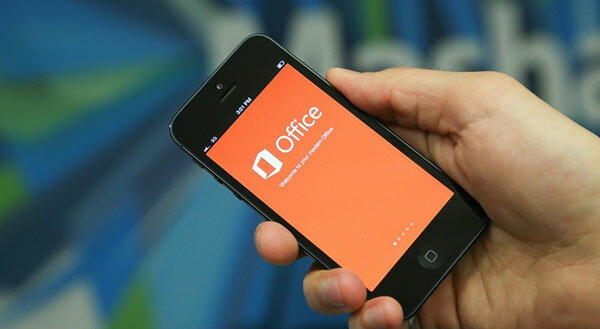 Let’s see how Office for iPhone is faring and how the iPhone app features are (or are not) adding value to your work. Currently the app is available for download cost-free but is available only for existing Office 365 subscribers and this subscription is available for $100 for a year or $10 for a month for 10 months. This becomes a costly option especially considering that better alternatives are available on the open source. While there are no two ways about it that Office for iPhone will offer a great deal of convenience, the current market also has a few promising alternatives that work almost as well as this app (with a bit lower level of compatibility than Office for iPhone). Consider trying out Documents 2 Go, SmartOffice, or Apple’s iWork. In fact some users vouch that iWork comes up as a better alternative to Office for iPhone in terms of compatibility and consistency in layout. As an iPhone user, a customer too needs to understand the feasibility and viability of working with documents, spreadsheets and presentation. As with other mobile app-based alternatives of computing applications, it becomes way too tedious to dedicatedly work on the mobile screen for longer periods of time. If you are a customer who spends too much time on these applications, then consider going in for a computer-based office suite rather than trying to access, edit and distribute the same over the mobile platform through the Office for iPhone app. Right now Office for iPhone is available only to iPhone users. Blackberry and Android platforms will have to wait to get their hands on this app. On the other hand, Windows based phones such as the Nokia Lumia already come pre-equipped with this app. This practically limits the reach of the app amongst users, in age where most apps display cross-browsers compatibility and can be used across different mobile platforms. As of now, we can only wonder why Microsoft came up with such a truncated version of the Office for iPhone. Some consider this a deliberate attempt to enable Microsoft to come up with updated versions bring in much more Office for iPhone app features in the near future. Others attribute it to the fact that Microsoft stands as Apple’s chief competitor and doesn’t want to pack in iPhone app features that draw users away from its very own Surface RT devices. Whatever be the reason, we definitely feel Microsoft needs to pull up its act and get serious revamps underway in the Office for iPhone app features if they need to capitalize on the growing Apple targeted market.